How Can You Retire Early? What is the Best Website Hosting for a Small Business? How Is SaleHoo For Dropshipping? Is SaleHoo The Best Option? What is Use Proof? and Can Social Proof Help Your Business Succeed? How is Affiliate Marketing Online? So by now, most entrepreneurs are getting the idea that if you want to succeed, you need a sweet looking website. I’m not just talking about big companies. I’m not even just talking about bloggers and affiliate marketers who make their living online. There is no limit to the kinds of self-employed people in this world who need to have a pretty looking website! And if you want the attention and traffic to your site to convert into sales and income for you, no matter what it is you do, this is a fact: you need your website to look pretty. The scary thought for most people is that building a website requires a ton of technical experience, coding knowledge, and computer skills. Or that building a website is such an advanced project that you need to spend a sizable chunk of money to have someone else build your website for you. This simply isn’t true. 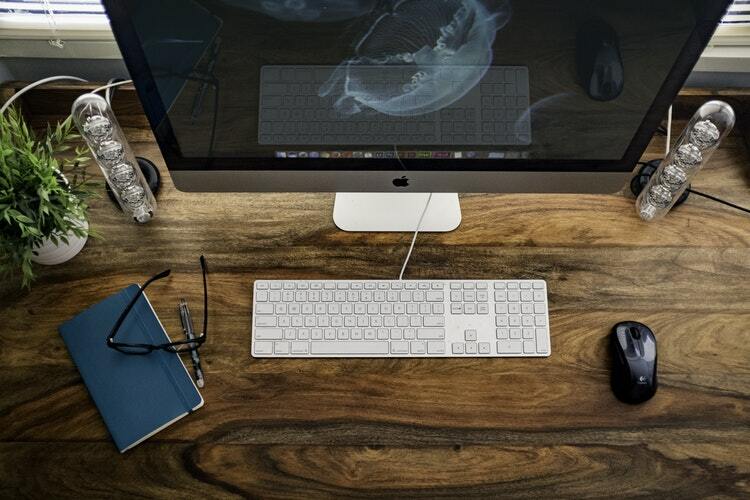 Building a website for your business can actually be incredibly easy! That’s why I’ve narrowed down what is the easiest website builder to use, and what the best ones are. .
By far, the easiest website builder to use as a beginner is Weebly. I don’t mean to say that it’s the best all-round website builder, but it’s simple drag and drop method ‘makes creating an awesome looking site a complete piece of cake. Building a website through Weebly is completely free, incredibly intuitive, and requires practically no technical skills at all. It comes with so many pre-designed layouts that a user can simply click and drag, with a little guidance from Weebly, and have an amazing looking website without breaking a sweat. On top of this, for someone who’s a little more comfortable with coding and wants to make changes, Weebly allows the option to customize HTML and theme layouts. But writing code is not required at all. So if that kind of thing makes you feel a little sick, there’s no need to stress. 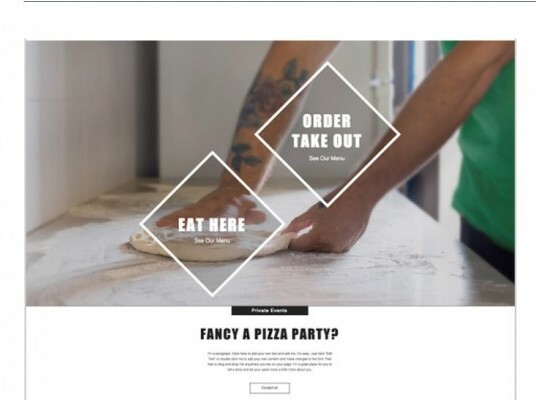 So if it’s so easy, can you really make a website that looks amazing? In the past Weebly has had an up and down reputation for their theme options. The importance of having a professional looking site to build trust with customers is the highest it has ever been, and that’s only increasing. We’re nearing a point where having a clunky looking website can make or break your business. The good news is, recent innovations in Weebly have now created an array of beautiful looking website themes, that you can use for your own site with a few clicks of a button. Not only are you able to make a website look this good with Weebly, but all of the newer Weebly themes are designed to be already optimized for mobile viewing. Readers of your blog, or visitors to your store, will even be able to view your site on their phones, and not have it look squashed, or have print that is too small. 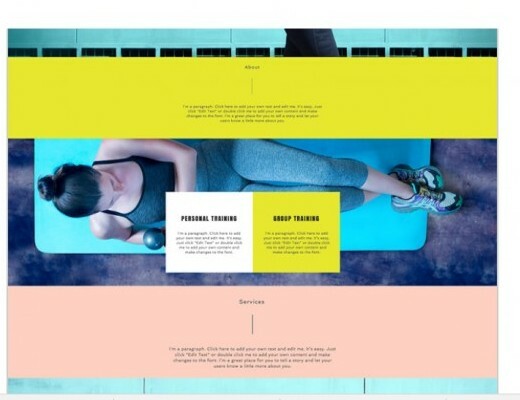 If you’re just starting out, Weebly is the best and easiest website builder, hands down. For a webstore option especially I would recommend Shopify over Weebly, because it’s specialized and more powerful. To build your website in minutes use Weebly RIGHT HERE. Perhaps the next level up from Weebly and Squarespace is Wix. The Israeli company has, in recent years, pushed its way into the upper echelon of great website builders. While your ability to customize designs through Wix may not be as flexible as other options, the designs that Wix provides, and the website building options, are some of the best in the world. Wix may not be quite as simple as Weebly, but it’s drag and drop templates are probably the best in the entire industry. Wix websites are more comprehensive than their competitors, like Squarespace and Weebly, and they provide one of the best and most interactive customer experiences. 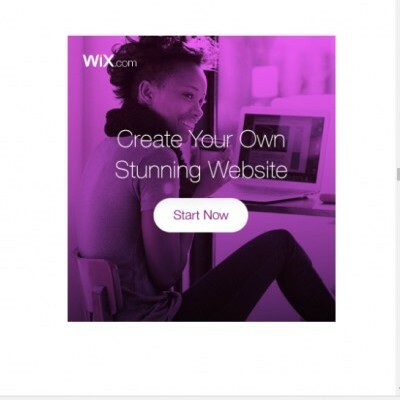 The websites created by Wix feature artificial intelligence that will help you in your designing, and the interactive sites will draw your customers and readers more into your brand. And they look pretty fantastic on top of it. The simplicity of the design, combined with its vibrant colors, are eye-catching, and professional. 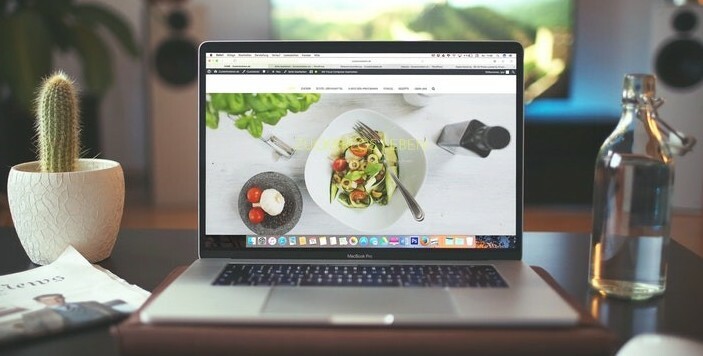 Wix is perhaps the BEST website designer for a small business, because it has a plethora of templates and themes that are especially designed for certain industries. So Wix has certain themes that are perfectly designed for wedding photography studios. Others that are made specifically for pizza places, or coffee shops. Even some for hotels, or an AirBnB! The website building design of Wix is similar to the others here, but its innovations make it the most advanced, and it’s support system makes it very easy to use. Try it here for free! The biggest and most popular website builder is WordPress. 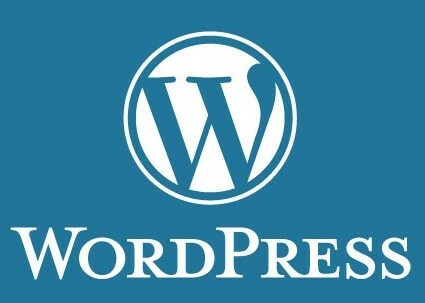 In fact, over 25% of the websites out there (and there are hundreds of millions), are WordPress sites. So what’s the deal with WordPress? And why do companies like Walt Disney deem it the best option? WordPress may not be the easiest of all the website builders, but if you’re looking to build a big and profitable business that’s exclusively online, WordPress is a no brainer. WordPress is the website builder that I have the most experience with (this site is a WordPress site for example), and the array of tools that you can use to make your website look how you want it to look are phenomenal. 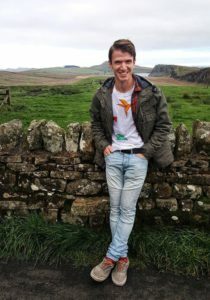 It’s a builder that is very well-suited to Google and other search engines. And if your online business is exploding, and starting to see high traffic and profits, the most advanced managed hosting platforms that are able to handle that volume of traffic are specifically designed for WordPress only. WordPress is important, because it’s everywhere. While it’s a little more involved than Weebly or Wix, if you’re blogging, or creating a marketing centered business, it’s the best option. And the design is still very simple and easy to use for most beginners. Building a website through WordPress, like all of the services I mentioned on this list, is free. You can try it out right HERE. Building A Website Is Easier Than You Think! Whether you’re building an amazing, fresh-looking business site through Weebly and Wix, or starting out with your blog on WordPress, there are options to help you easily create a website. 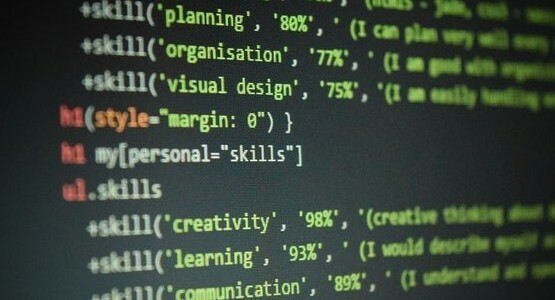 Website design is no longer the art of advanced coders only. With a professional looking website your business will be ready to flourish. If you have any questions, or you’re looking for more detailed information, please feel free to comment below! How Does Ebates Cash Back Really Work? Jordan Meola on How Is SaleHoo For Dropshipping? Is SaleHoo The Best Option? Chris on How Is SaleHoo For Dropshipping? Is SaleHoo The Best Option?